Jon has worked in the Customer Service and Contact Centre business for more than 25 years. His experience in operational management comes from years of working in customer-facing business environments in both the private and public sectors in countries all over Europe, and also on assignments in the US. During this period he has set up, managed and improved the operation of many contact centers for different sectors including IT, leisure, financial services and telecommunications. He founded 60k after coming to Bulgaria to work for BTK (the first Bulgarian Telecommunications company) and realized the potential of the workforce and of the location as a destination for outsourcing near shore for the UK market. 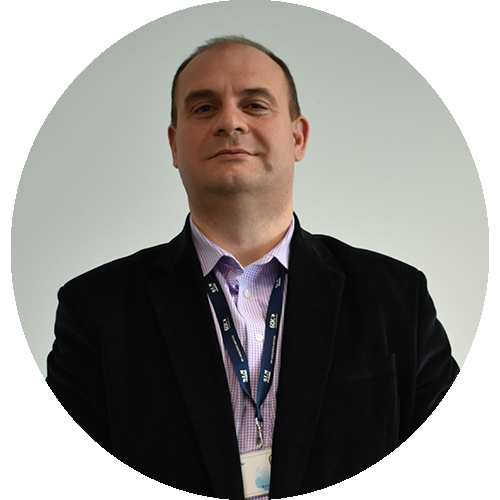 Originally from Portsmouth and initially trained and worked as a Civil Engineer, Jon has lived in Sofia since 2004. He is passionate about tennis and football and occasionally enjoys a piece of chocolate cake. 60K Chief Operating Officer, has been part of the 60K team over the last seven years. He started his career with 60K as the UK Business Development Director and then after four and a half years moved to the position he now holds. Mike has nearly thirty years of experience within the Customer Service industry. He is an experienced Customer Service professional with strong Project Implementation, Business Process Improvement, Resource Planning and Change Management skills, gained within the Automotive, Telecommunications, Financial Services, Travel and Tourism and Business Process Outsourcing sectors. As well as working within the aforementioned business sectors, Mike was also a consultant to many well-known and reputable UK companies helping them to create, develop and implement both Customer, and, Employee, Satisfaction Surveys. Accustomed to managing, leading and directing large teams covering both inbound and outbound customer service/support activities, incorporating sales, collections, saves and service delivery solutions. He is customer-focused and quality-oriented, with the ability to inspire individuals and teams to provide excellent customer service and fulfil business objectives whilst simultaneously delivering cost and efficiency improvements. Nigel started with 60K in 2015 and has held various roles in Business Development for over 30 years with companies including Bosch Service Solutions, Telefonica O2, and Resellers of Remedy ITSM. Brought up in Poole in Dorset where he enjoyed sailing and windsurfing, the early part of his working life was as an IT Manager with a Fund Management Company in Bournemouth, before work took him to Liverpool in 2006. Now he splits his time between the UK and Bulgaria and can (very) occasionally be found in the 60K gym running to try and keep fit. Atanas joined 60K in June 2018. A lawyer by education, and an HR by calling, he brings in valuable experience from various industries like retail, FMCG and energy. He holds an MBA from Viadrina University, Frankfurt- Germany and is a Chartered member of CIPD- London. His interest lie in the sphere of Organizational development, Individual and Organizational capacity growth, Employer branding and People engagement. A champion of the use of modern IT and new technology instruments throughout all HR processes encompassing company life and a believer in personal development through feedback and coaching. Phil joined 60k as a business consultant at the start of 2018 prior to which he was a client, as VP for International Contact Centres at Ticketmaster he had executive responsibility for Ticketmaster’s 16 international contact centres operating in 11 different languages. Previous roles include Director of Typetalk operated by the Royal National Institute for Deaf People, that facilitated real-time telephone calls between people who are unable to use the conventional telephone system and more than 20 years at Centrica/British Gas in a number of senior positions including engineering, HR, customer services and general management, culminating in the role of General Manager for the National Payment Processing Centre. Phil has in excess of 40 years customer service experience and has a keen interest in emerging and new technology, its deployment and generally sharing best practice. Phil would love to have some interesting hobbies, but with two grandchildren he as little free time to explore them.